St Kilda Catering at its finest, Crave Catering has catered countless events for both exclusive private households and businesses alike. St Kilda catering clients are the precise demographic for Crave Catering, allowing the company to cater birthdays, wedding catering, dinners parties and a host of other styles. 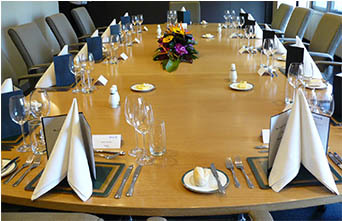 All functions are catered with style, elegance and distinction. Crave as Middle Park caterer don't just give the satisfaction but deliver the outstanding service on every occasion & event. Catering in St Kilda is also facilitated through venues in St Kilda at which Crave Caters. "Thanks again for the enormous effort to get our Xmas recovery party catered for. Hamish and Grace were very professional and the food was great. So happy it went off without any hitches 🙂 "
"Everything went smoothly, the staff were really helpful on every front and a pleasure to deal with and I had very positive feedback from the staff and management. All in all a great success so thank you very much!"